Amazon is offering the Apple Pencil for just a $85 today, a 15 percent discount and just a few cents from it’s all-time low. 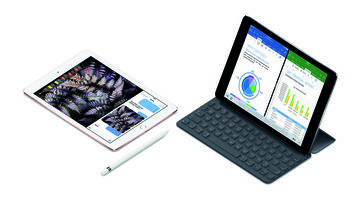 It’s hard to imagine owning an iPad Pro without an Apple Pencil, but if somehow you do, and the thought has crossed your mind about whether or not you should buy one, this might be enough of a discount to put you over the edge. The Apple Pencil gives you the ability to draw and take notes with a level of precision that has never been seen before on a portable device. In fact, many artists and designers call the iPad Pro and Apple Pencil combination the best digital drawing and writing experience they’ve ever had. The Pencil uses Bluetooth to connect to the iPad Pro and it charges via its built-in Lightning connector, which, by the way can give the Apple Pencil a full 30 minutes of use with just 15 seconds of charging on your iPad. No coupon coded is needed. Just head to the link below.